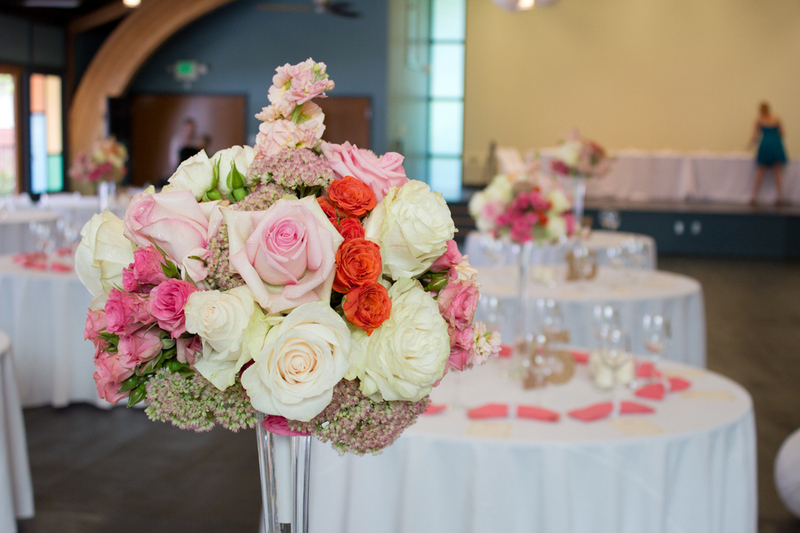 Planning a Seattle wedding or in search of a Seattle wedding florist? 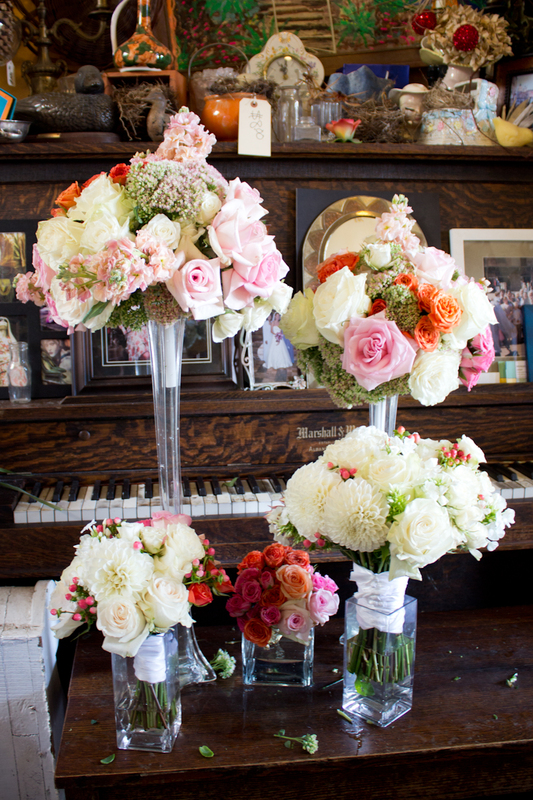 Flowers on 15th specializes in flowers for weddings! We create unique wedding floral arrangements, bridal bouquets and other wedding flowers that accentuate the beauty of your special day. Our expert florists can create stunning flowers for weddings of any budget. We take pride in listening carefully to our customers and creating the best solution for their personality and the venue. 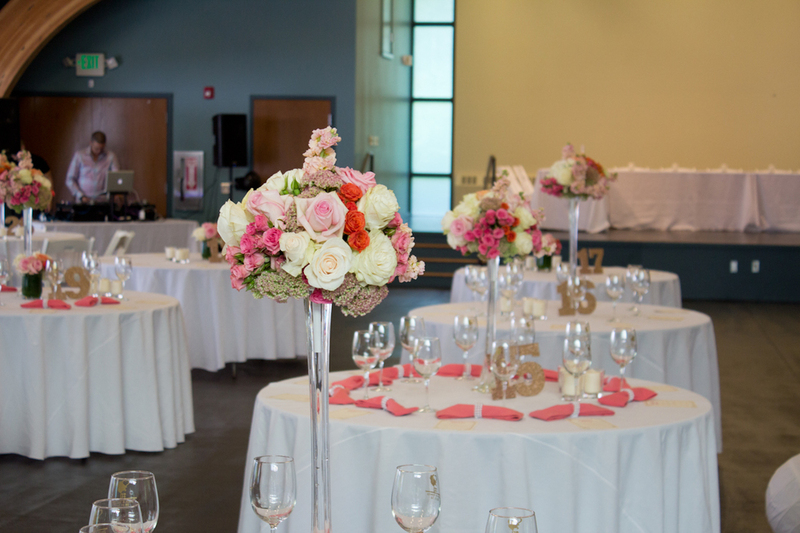 Contact us today for a free wedding flowers cost estimate and consultation. We look forward to making your once-in-a-lifetime moment truly unforgettable. 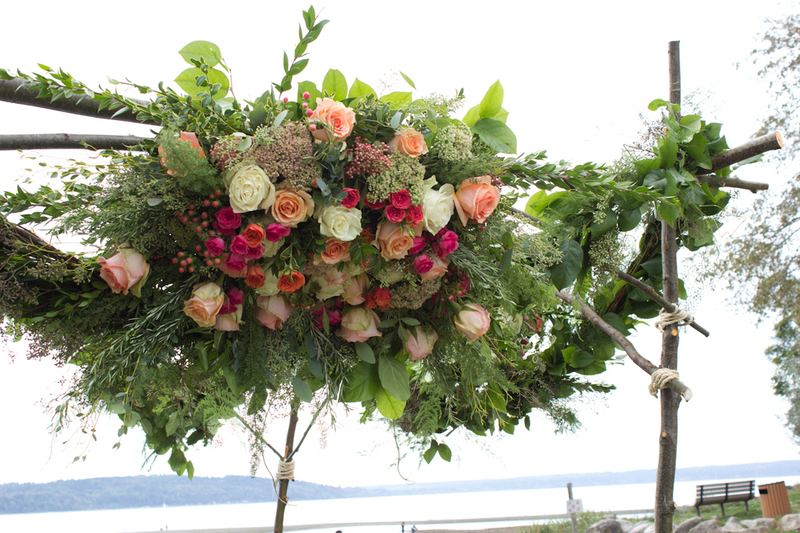 Overlooking Puget Sound, this beautiful wedding saw the happy couple married under a chuppah, a traditional Jewish wedding arbor. We decorated the arbor with three lush sprays of flowers and a hand-tied garland of greens. Flanking the ceremonial aisle were two large spray arrangements in our own urns and pedestals, including gladiolus, spray roses, fragrant oriental lilies, flox and alstroemeria. The reception arrangements seemed to float in midair on slender "Eiffel Tower" vases. 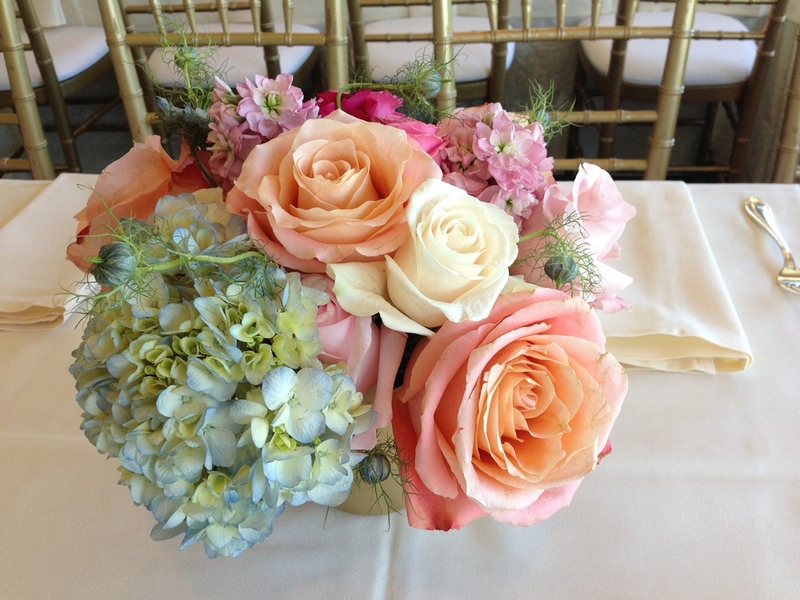 The arrangements featured roses ranging from cream to magenta, soft pink sedum, spray roses and baby pink flox. The bride's bouquet was a hand-tied gathering of lush white dahlias, pristine white roses and pink hypericum berries. 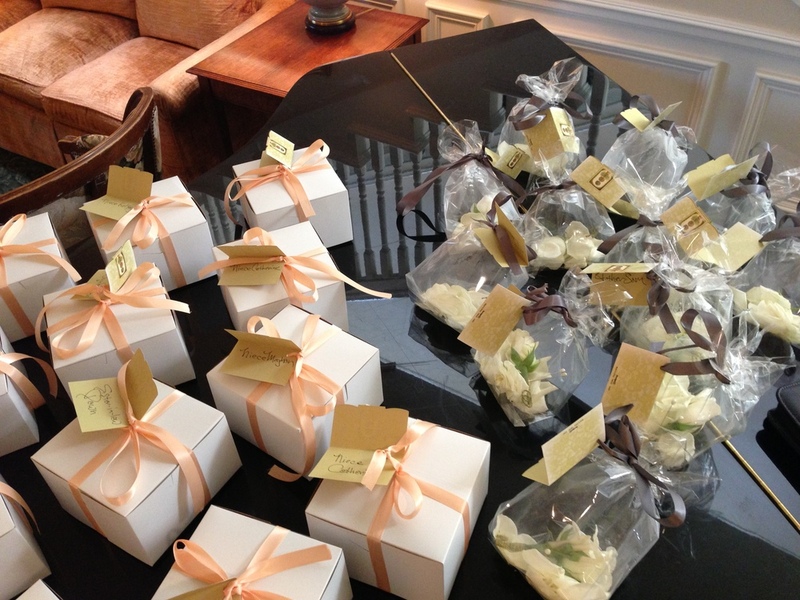 The bridal party wore complementary boutonnieres and corsages of white roses and hypericum berries. The couple was married under a traditional Jewish wedding arbor, or chuppah, which we adorned with garland and plentiful sprays of flowers. Floating centerpieces along with the bride's bouquet of pure white flowers in front of the vintage piano in our store. The smaller white bouquet was the bride's toss bouquet, and beside it a small clutch of spray roses for the flower girl. The reception centerpieces seemed to float above the tables on slender "Eiffel Tower" vases. Two large arrangements flanked the ceremonial aisle and featured a wide array of fragrant beautiful blooms. Anne is a dear friend with a vibrant, glowing personality. It was our privilege to design her wedding flowers to match! Anne's bridal bouquet evoked a French garden blooming in her favorite purple color. We included the stunning dusty lavender "Ocean Song" rose, spicy freesia, velvety lamb's ear, white garden and spray roses, seeded eucalyptus, green hypericum, and ethereal Isolepsis "fiber optic" grass. 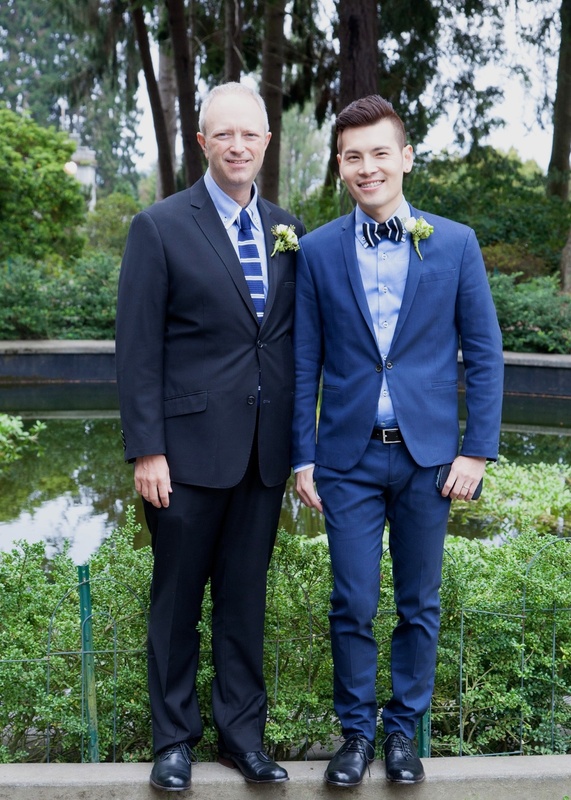 This handsome couple was married in a peaceful, intimate ceremony at Seattle's iconic Volunteer Park. 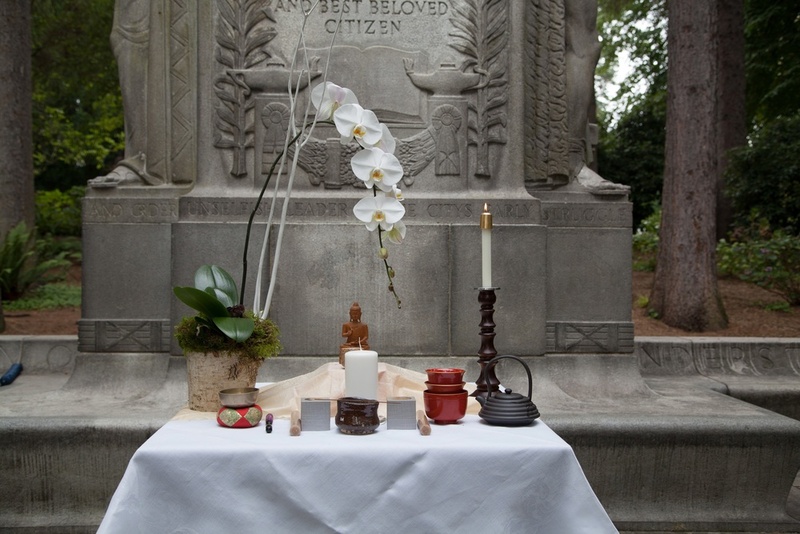 We were delighted to create boutonnieres for the grooms, an orchid centerpiece for the ceremony altar, and even a little toss bouquet for Sam. 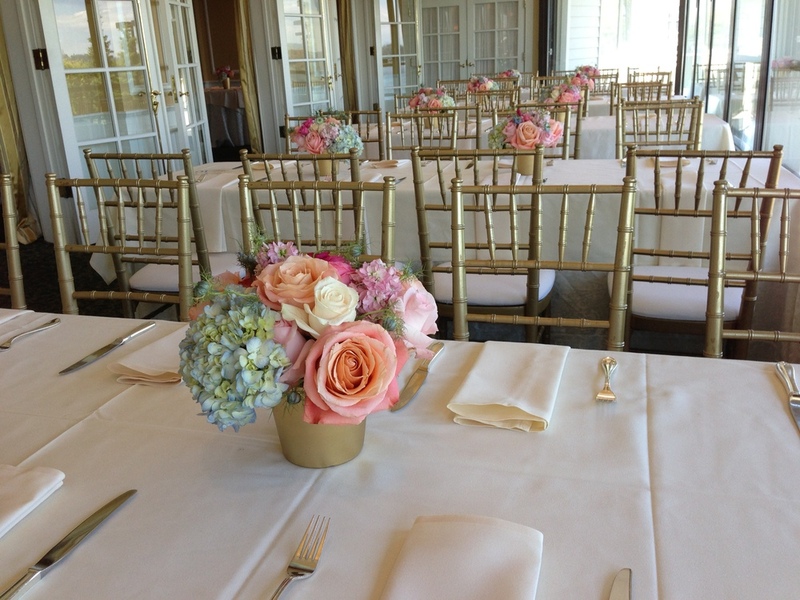 This wedding at the scenic Seattle Tennis Club overlooking Lake Washington featured clustered arrangements in a feminine pastel palette including one of our favorite pink roses "Fado," and pale blue hydrangeas. Click a thumbnail below to view the larger images.